They took Broadway by storm in one of the biggest hits of all-time. 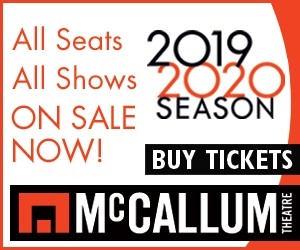 Now on their 8th national tour, THE MIDTOWN MEN are bringing their magic to audiences everywhere, singing their favorite "Sixties Hits" from The Beatles, The Rascals, The Turtles, Motown, The Four Seasons and more. "The seats were filled with shouting, singing, dancing in the aisle fans!" This sensational production reunites stars from the Original Broadway Cast of Jersey Boys. 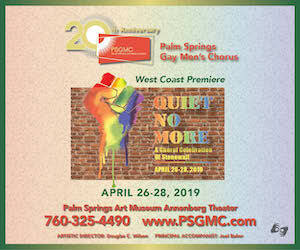 Tony Award winner Christian Hoff, Michael Longoria, Daniel Reichard and Tony Award nominee J. Robert Spencer star in this one-of-a-kind concert experience celebrating the music that defined the '60s. These talented entertainers shared the Broadway stage for over a thousand performances in the mega-hit Jersey Boys. Now, as The Midtown Men, they’ve thrilled crowds on concert stages across the US, Canada and in Beijing and Venice, performing over 600 shows and singing with 35 major symphony orchestras. They’ve delighted television audiences on “The Today Show”, "Good Morning America," "Access Hollywood," "Katie," and "The Chew." The Midtown Men enjoy a close association with Sirius XM Radio. Last fall, they taped a MY FAB FOUR radio show for one of Sirius’ most important outlets, The Beatles Channel. Then, in December, the Men joined rocker Tommy James to star in Cousin Brucie’s Holiday Special for 60s on 6. The show was taped before a live audience in Sirius XM’s NYC studios and aired many times during Christmas week. The Midtown Men’s first radio single, "All Alone on Christmas," was written and produced by rock icon and Sopranos and Lilyhammer star Steven Van Zandt and backed by Bruce Springsteen's E Street Band. It plays on local stations and nationwide on the Sirius XM Holly channel. 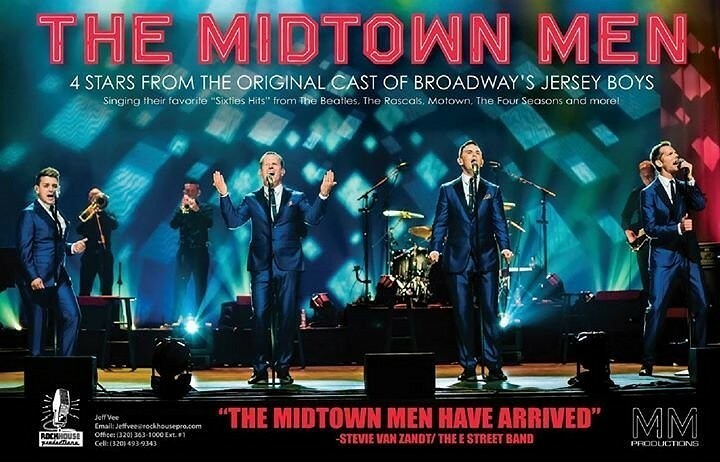 The group has released two successful public television concert specials: The Midtown Men Live in Concert, and Meet the Midtown Men, a documentary that goes behind the music. Both are currently airing in markets nationally. Not A Performance Of, Nor Affiliated With the Show Jersey Boys. Tickets for this performance are $87, $67, $57 and $37.